NEW YORK, NY – (6/2/14) – World Boxing Council (WBC)/The Ring middleweight champion and Argentina’s favorite son, SERGIO “Maravilla” MARTÍNEZ, held his final media day earlier this afternoon ahead of his upcoming world title defense this Saturday, and the most eagerly anticipated boxing event of 2014 against three-division world champion and the Pride of Puerto Rico, MIGUEL COTTO. 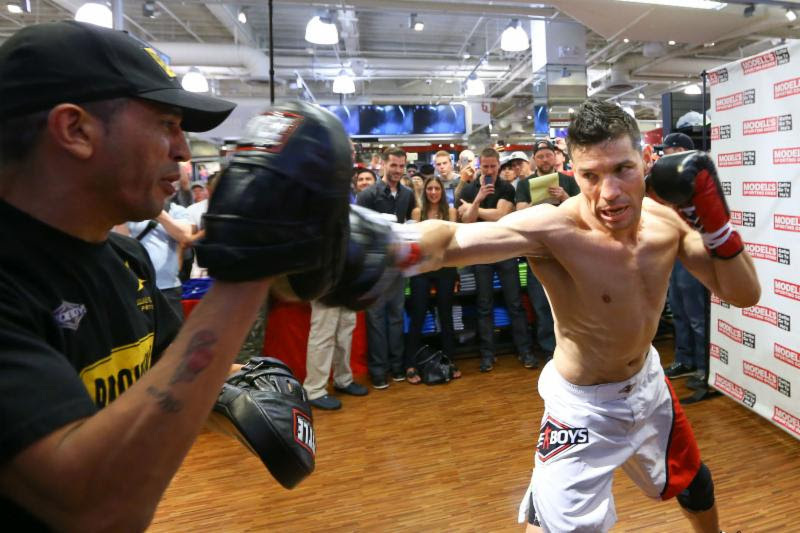 Hundreds of media members and even more fans turned out Modell’s Sporting Goods flagship store in Times Square, just block from where Martinez will meet Cotto on Saturday night at Madison Square Garden, to get a glimpse of Martinez. 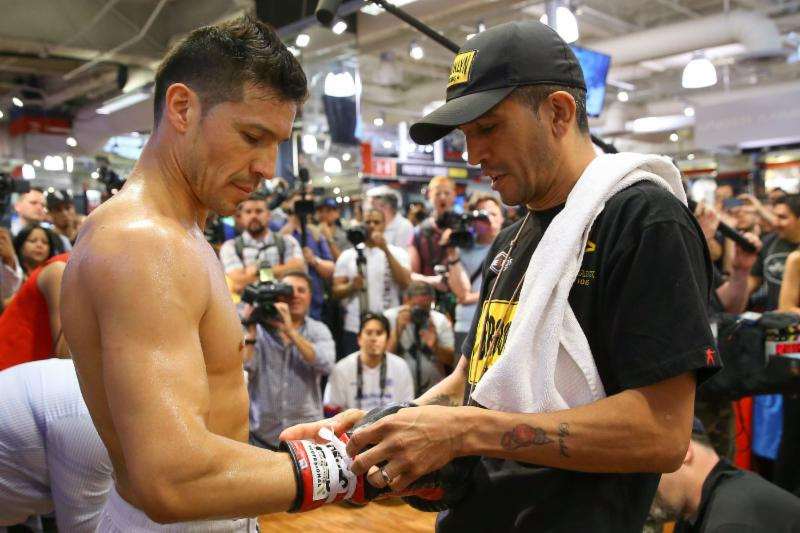 Martinez answered questions for the media before performing an intense 30 minute workout, which showed the champion to be in absolutely phenomenal shape ahead of his upcoming title defense. Following his work out, Martinez sat and signed autographs and took photos with every single one of his adoring fans that had come out to show their support. 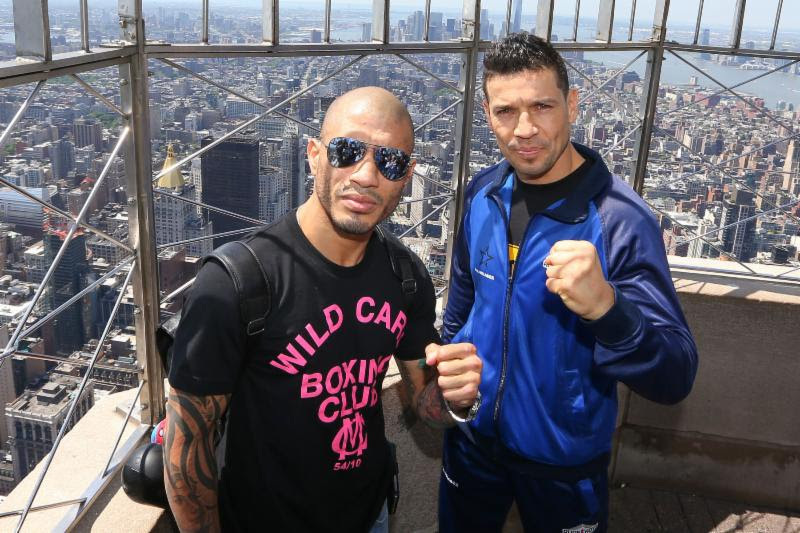 Below are some brief quotes from Martinez as well as a few select photos from both the media work out, and the Empire State Building, where Martinez took photos with his opponent Miguel Cotto earlier in the afternoon, before heading over to his workout. 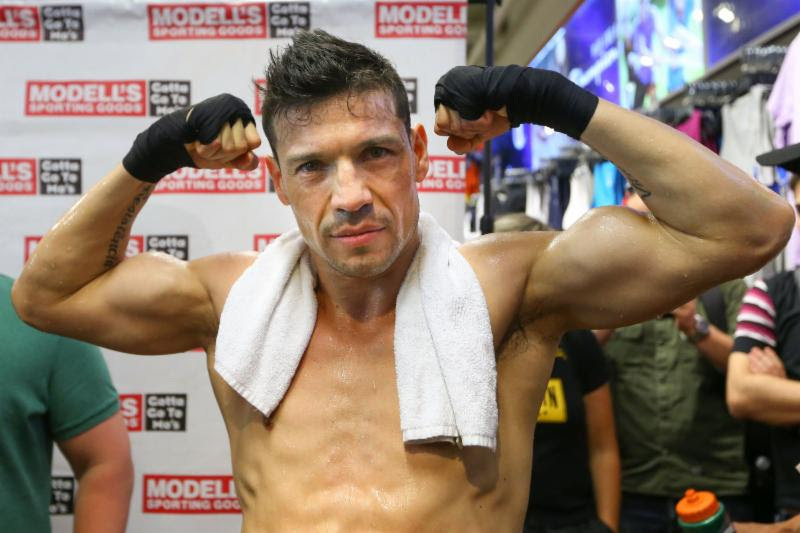 SERGIO MARTINEZ: I love New York City. It is one of my favorite cities in the world. I am so excited to be here and fight at one of the most famous arenas in the entire world. This is a dream come true for me. Camp was phenomenal. The gym was excellent, Miami was perfect. This is the best training camp that I have ever had in my entire career. 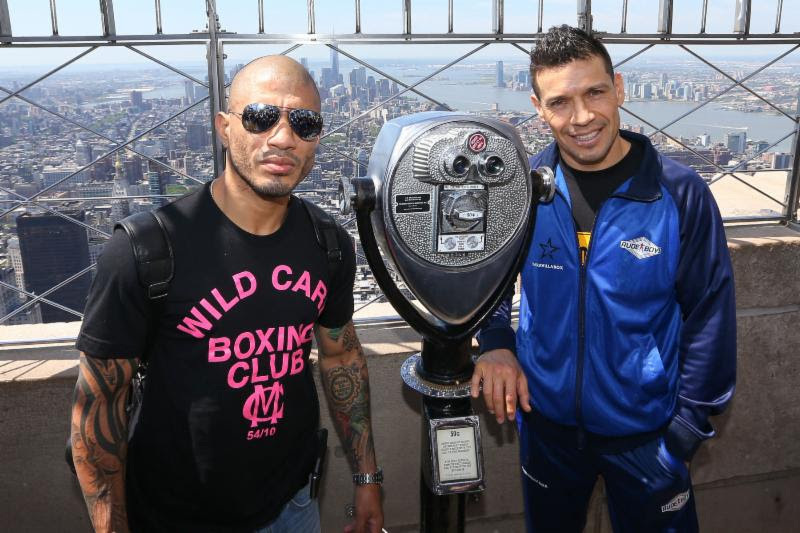 I said it before and I am saying it again, there is no possible way that Cotto will make it out of the 9th round. Freddie Roach is excellent at telling jokes and this is one of the best jokes he has ever told.